This is a card for some of my good friends, who are celebrating their birthdays very soon. We are having grey and rainy days in Denmark, so the light is not good for photos, I see. 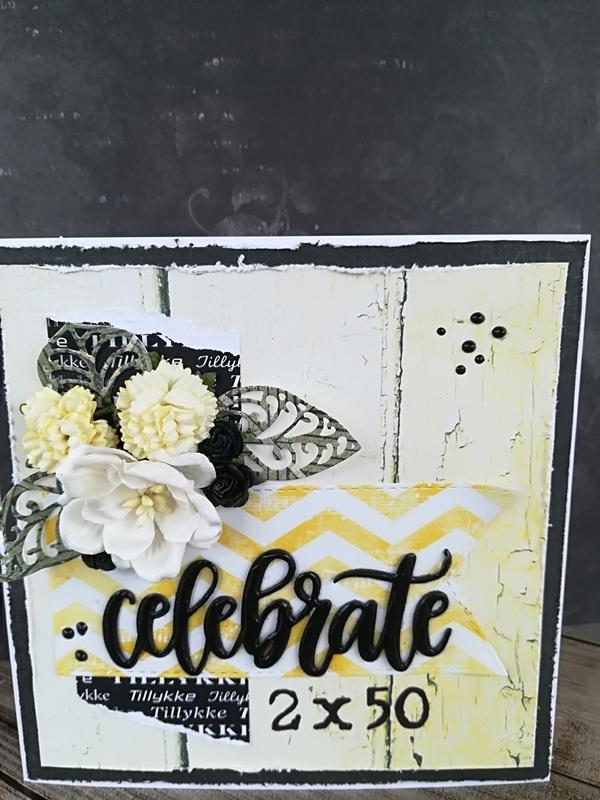 The card is in light yellow/grey papers. The card is my ticket to the Simon Says Stamp Wednesday challenge: "Anything goes"